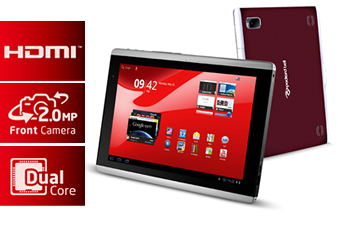 The PB Liberty Tab is specially designed to give you greater mobile freedom and to make heads turn! 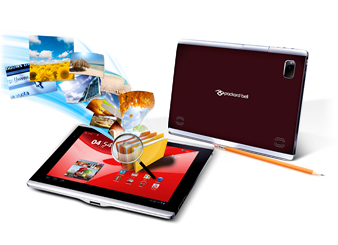 This all-inclusive tablet puts your life in your hands, while the Burgundy Red colour1 and metallic highlights make you shine. Beneath the lovely exterior lies power waiting to be unleashed! Websites download quickly with the dual-core NVIDIA® Tegra™ 2 processor. 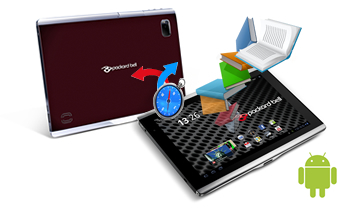 The PB Liberty Tab runs on the tablet-tailored Android™ 3.0 (Honeycomb) operating system and supports Adobe® Flash®, giving you a better Internet experience plus thousands of downloadable apps, videos and games to enjoy. One charge lasts the whole day, so don't worry about the battery running out while web-surfing or playing one of the preloaded HD games. Movies look superb on the HD widescreen and sound is very real with Dolby® Mobile technology. What's more, you can view your media any way you like, as the screen automatically flips to portrait or landscape orientation. The screen responds to your touch, giving you new and exciting ways to interact with the tablet and your favourite music, photos and videos. 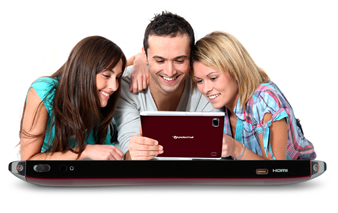 If you want Full HD big-screen viewing, an HDMI® Micro port is available for connecting the tablet to large displays like an HDTV. Everything is built right into the PB Liberty Tab, so you don't need adapters to enjoy the extra features. Stay online all the time with Wi-Fi® and optional 3G. Video chat, take self-portraits, and snap all the pics you want with the dual cameras. GPS or A-GPS navigation means you'll never get lost again1. Connect to other mobile devices using the micro USB or full-size USB 2.0 port, and increase storage space or download images straight from your digital camera using the microSD™ Card slot.